Our moulded plastic cases are vacuum formed or injection moulded and are available in many sizes and designs. Our ABS cases are available in many sizes, shapes and designs. We hold limited stocks of these and aluminium framed ABS cases are mostly manufactured to order, to suit customers requirements. A minimum order quantity of 25 cases usually applies due to factory set-up costs. 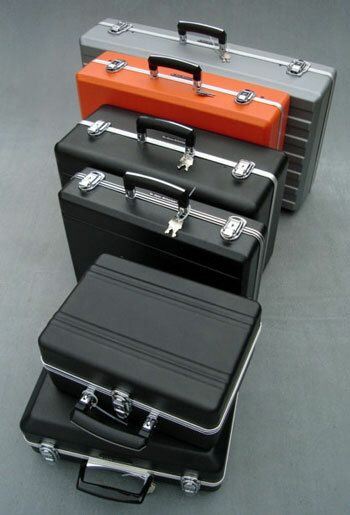 Please see our ABS cases page for further details of the range available. There are two ranges of polypropylene injection moulded cases available at a price that should fit almost any budget and printing with logos and product information is a popular option. 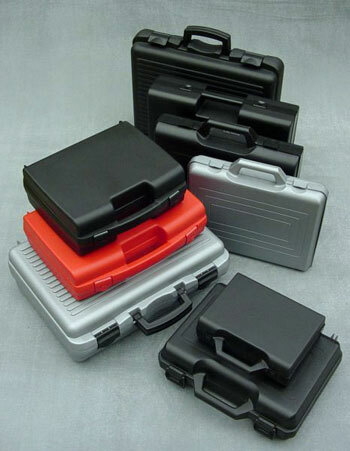 Please see our Injection Moulded Polypropylene Cases page for further details of the range available. Our IP67 DuroCase range offers superior protection from the elements, water, dust and impacts, making them suitable for a wide array of sectors and applications.